Rhett began his career when he was a teenager. He recalls the event, "I sold a drawing for $50. I was so happy I marched into Pinkies liquor store, (3 years before he was of legal drinking age) and purchased a bottle of wine. I celebrated by sitting on my parents roof, drinking and eating take out from Pappy's Catfish. To my neighbors dismay, I still take naps on the roof. Maybe they don't mind too much, they own two paintings." Still in high school, Rhett found employment as an artist assistant, working for internationally recognized artist, Romeo Reyna. Romeo became Rhett's mentor. It was in Romeo's studio where Rhett learned the profession of being a professional artist. "I have lived in million dollar homes and I have lived in my car. The only thing that mattered was I never stopped creating," Rhett said. Over thirty years have passed since Rhett's first drawing sold. Photographs of the works completed in the past three decades fill volumes of three ring binders. Rhett shows no sign of slowing down, working throughout the night several times a week. Rhett relates, "I can't tell you the number of times I have fallen asleep with a brush in my hand." 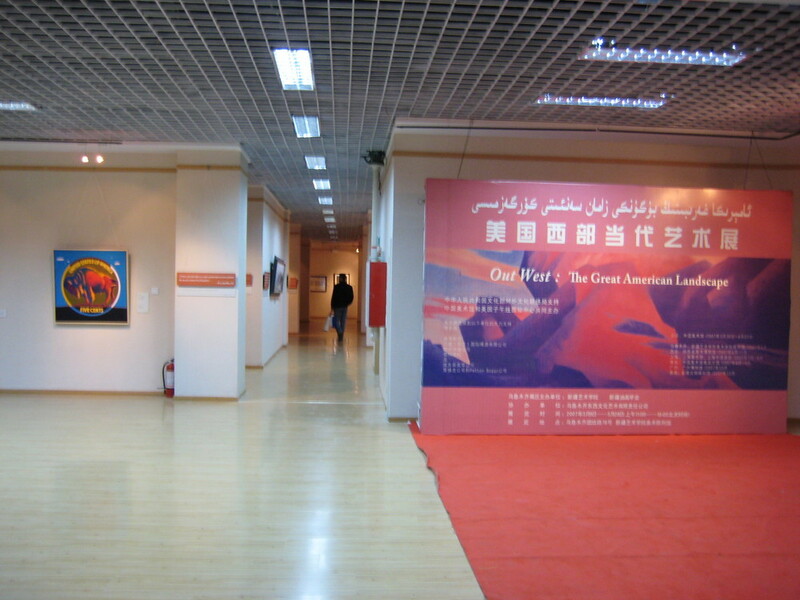 Out West: The Great American Landscape, is a cultural exchange project and has been heartily endorsed by the Ministry of Culture of China. Out West, which will tour China, is to bear the Olympic logo and will be part of the cultural dimension of the 2008 Olympics and of the cultural presentations leading up to the games themselves.